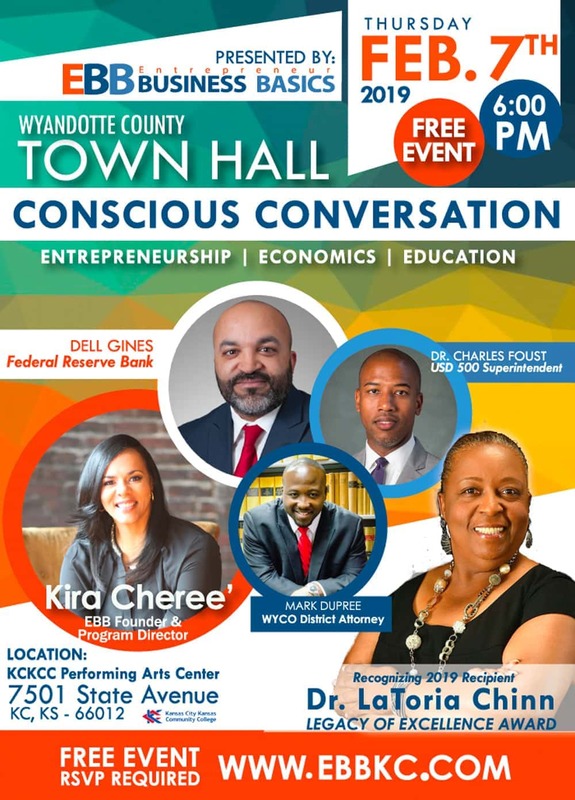 Kira Cheree’ and EBB (Entrepreneur Business Basics) will host Conscious Conversations: Minority Entrepreneurship, Education and Economics in Wyandotte County. The event will be held at the Kansas City Kansas Community College – Performing Arts Auditorium on Thursday, February 7th, 2019. The doors will open at 6:00pm. Additionally, we will be honoring Wyandotte County native, Dr. Latoria Chinn of International Speedway Corporation with the Legacy of Excellence Award for her many contributions and advocacy in Wyandotte County.